Getting a new car alarm or remote start system has never been this simple! Viper is security and convenience for your modern lifestyle. Years of research, development and testing, as well as the voice of customers, have combined into these innovative Powersports solutions designed for extreme environments. Introducing, the Viper SmartStart Pro! 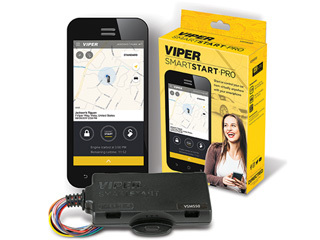 Add Viper SmartStart Pro to almost any remote start system harnessing the fastest connected car solution that lets you lock, unlock and remote start or locate your vehicle from virtually anywhere. Free Smartphone Vehicle Control Now Available! 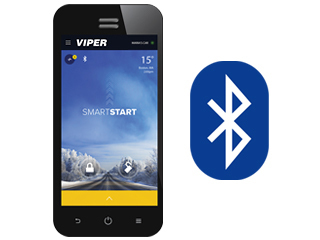 With Viper's new DS4 technology, smartphone vehicle control capability is built right into your Viper remote start system. 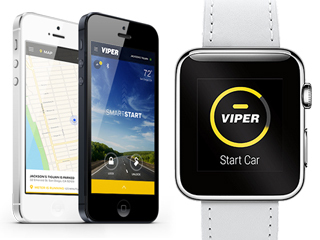 The Viper SmartStart 4.0 app is now available for the Apple Watch and Android Wear. Had this alarm installed in my Camaro z28 and could not be happier, my car has had two other alarms in the past and this is by far the best yet! No complaints, works great! This product does everything you need, the best part is by the LED confirmation, you will know if your car starts. My husband has a remote start the dealership put in, and if you're not close to the vehicle to hear the horn beep, you're out of luck. I got this for my daughter last year and for me, and it works like a charm. You can't go wrong. The distance is great on it! Best thing I ever put in a car. I live in Wisconsin where winter cold is colder than cold, it is great to walk outside and get into a warm car, windshield is clear of snow and ice, I bought and had it installed by Best Buy, it works great and the installer was very helpful and still is when I call with a quick question. Be the first to know about special promotions and product updates. Enter your e-mail and subscribe to our newsletter.